The filming of a new series of Winston Graham’s Poldark novels will introduce today’s television audience to the delights of Cornwall, particularly its dramatic coastline and beaches. But there are still places you can visit along the coast which remain quite secluded. One of these is Pedn Vounder (meaning “head” and “lane”) with a beautiful sandy beach and crystal clear waters. 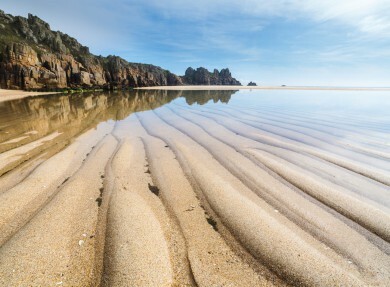 It is not easy to reach – you either land by boat, take a 15-minute walk from the village of Treen followed by a descent down the cliffs or take the potentially dangerous walk from adjacent Porthcurno Beach. But beware the risks of being cut off by a fast incoming tide. 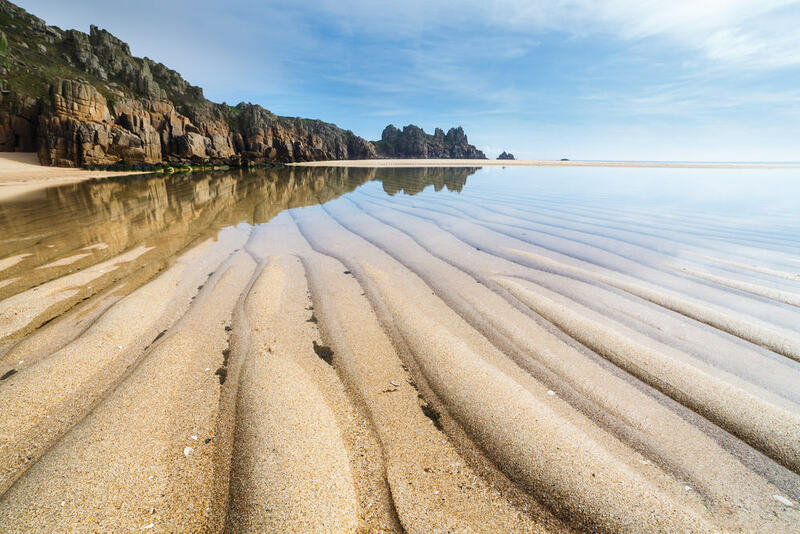 The seclusion makes Pedn Vounder a magical place, even though you are a short distance from Porthcurno and the Minack Theatre. At the top of Treryn Dinas cliffs overlooking Pedn Vounder is Logan Rock – an 80-ton stone which can be moved by one person.